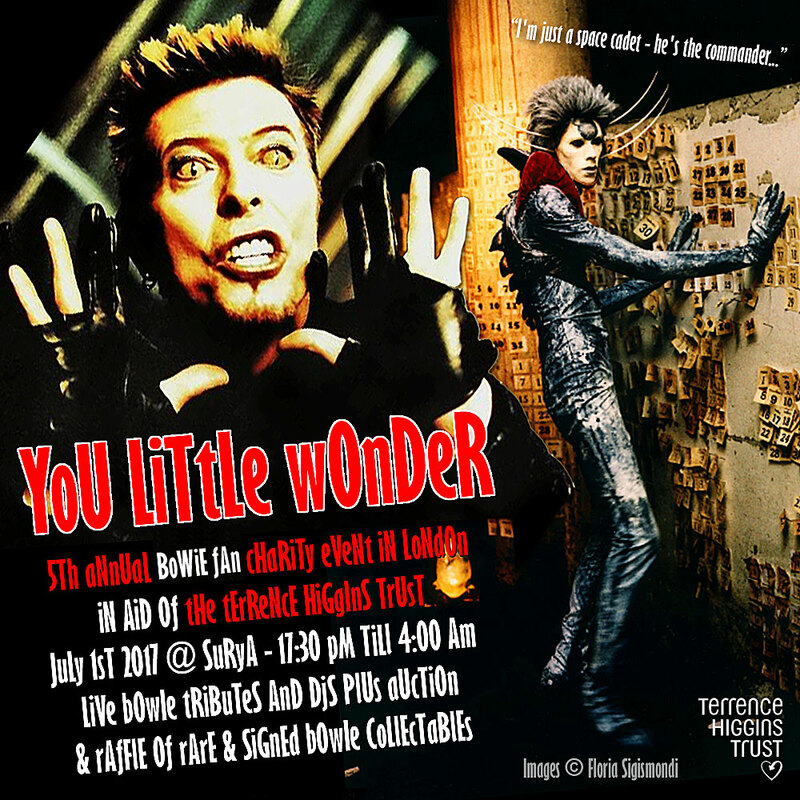 Tickets for the 5th Annual Bowie fan event at Surya in London on July 1st 2017, are now officially on sale. All proceeds will once again go to TERRENCE HIGGINS TRUST. Last year, the evening raised a very impressive £11,620, which was donated to Cancer Research UK. Tickets cost the same as last year, £25, and this price includes entry into the wristband raffle, which gives everybody an equal chance to win a very desirable signed-by-Bowie item. Check out the FB event page for more info and to purchase tickets. Please take proper care to follow payment instructions and stay tuned to that same event page for updates on some of the incredible auction items and raffle prizes. We are duty-bound to point out that this is not an official promotion. However, it is the same event that Bowie would send a message to and donate signed items to every year. FOOTNOTE: The Little Wonder theme of our montage is to celebrate the 20th anniversary of the release of the single and Earthling album.